Book of Common Prayer, primary author, editor, and translator of the first two editions (1548–1549). 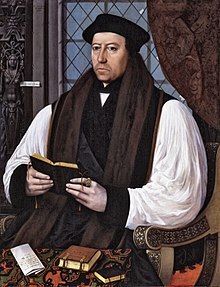 "Archbishop Cranmer" in The Book of Martyrs by John Foxe (1563). "Cranmer, Thomas," in Dictionary of National Biography, London: Smith, Elder, & Co., (1885–1900) in 63 vols.